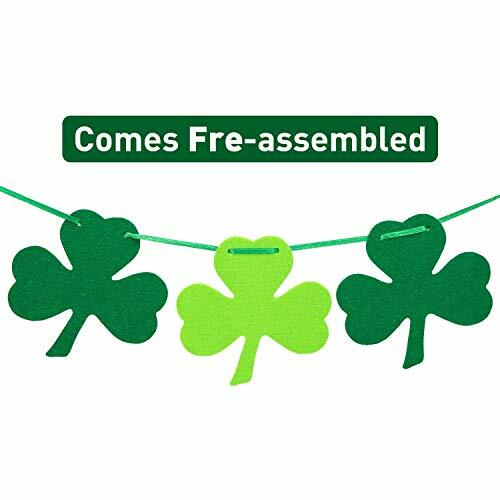 Have this Shamrock Banner for decorating your St.patrick's Day party could not be more easier! Just hang them on with the string. And you can move and adjust the shamrock to your liking allowing you to create any look and length you'd like. 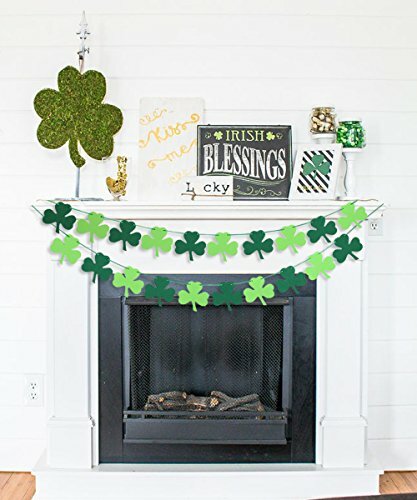 Incorporate this Green Shamrock Congrats Banners into your St.Paddy's Day decorating ! 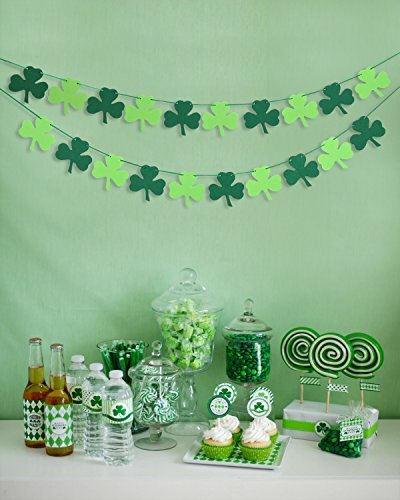 This lucky shamrock garland would make an awesome backdrop for your St.pats Day photos. It can also be used to decorate for weddings, birthdays, anniversary and to add some splash of color to brighten your day at home or office. 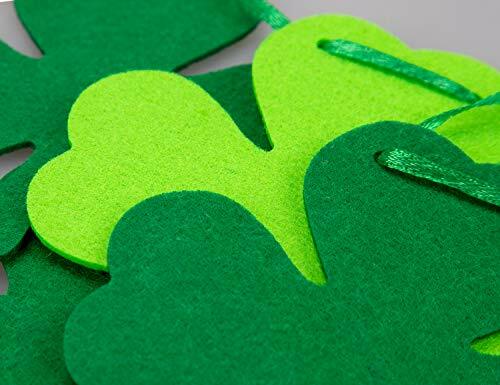 Measurement -- each shamrock is approximately 4" high by 4" wide. 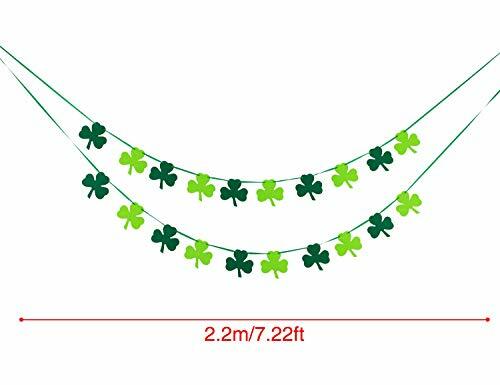 The entire garland measures approximately 9.8 ft in length with 20 shamrocks.It's long enough to be cut into sections you need. 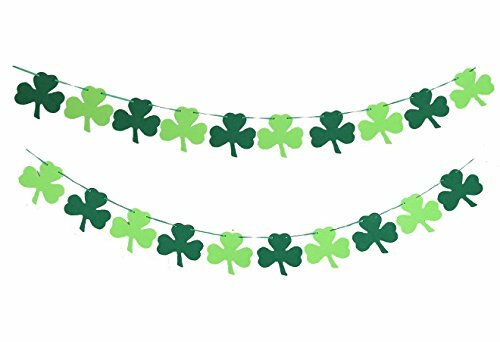 Great for decorating mantel,photo booth prop,front door,any party and irish wedding. Banner comes PRE-ASSEMBLED! You can easily hang them on as soon as you receive them!